These five black and white photographs show a reception for Nancy Landon Kassebaum's induction to the United State Senate (1978-1997), in Topeka, Kansas. Kassebaum was the first elected female to the Senate. 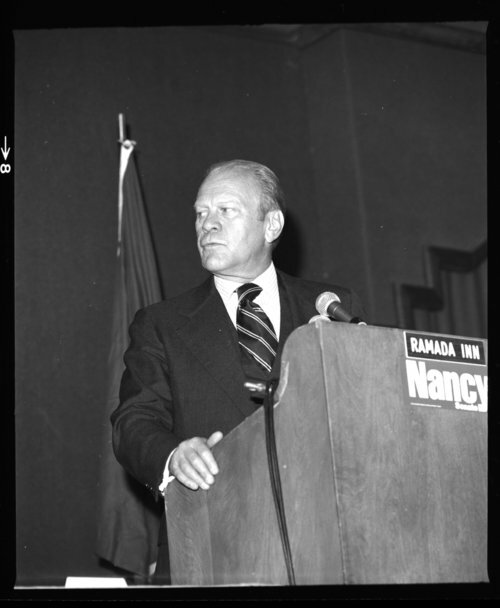 Notable individuals identified in the pictures is thirty-eighth President of the United States Gerald Ford, First Lady of Kansas Olivia Bennett, U.S House of Representative from Kansas Larry Winn, and Kansas Governor Robert Bennett.